We're deeply troubled by a series of attacks on the U.S. Endangered Species Act in the Senate. Sen. John Barrasso of Wyoming, who's leading the charge, is pushing a bill that would transfer endangered species' management to states — even those that don't have the funding or authority to protect them. It's no surprise. Barrasso has voted against the Act almost a dozen times. He's sponsored nine legislative assaults on the Act in just two years. Since Republicans retook the U.S. House of Representatives in 2011, we've seen nearly 350 anti-Act attacks. The Center for Biological Diversity is fending them off while pushing to ensure funding to save and recover endangered species. You're a critical part of this fight. 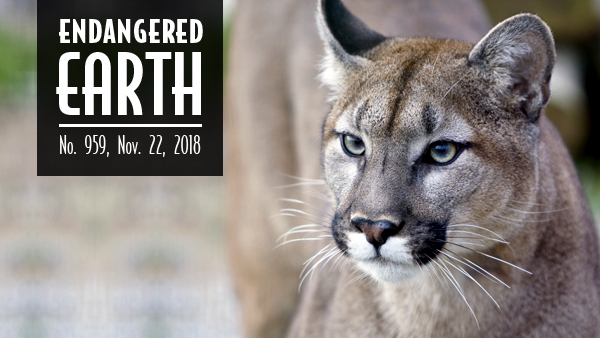 Please consider donating to our Endangered Species Act Protection Fund. Good news: After a Center petition — and thousands of letters from supporters like you — Arkansas will curtail commercial trapping of wild freshwater turtles. The state also committed to studying trapping's effects on turtle populations. We're also defending wild map turtles in Louisiana and Mississippi. Last week we filed a notice of intent to sue Trump for not protecting them under the Endangered Species Act. For more than a decade we've been fighting the alarming decline of freshwater turtles, particularly in the Southeast and Midwest, where threats are greatest. This year we won trapping bans in Missouri and Texas, and in 2017 we secured protections in New York, Nevada and Iowa. 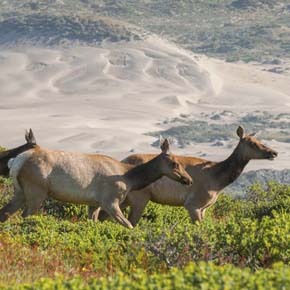 The feds are finally updating a plan to address the conflict between cattle ranching and tule elk in California's Point Reyes National Seashore. But many of the National Park Service's proposed updates don't look good for these rare elk. The Service is considering not only continuing agriculture in the park, but increasing it. Join the Center in supporting the best option for tule elk — to begin phasing out some ranching at Point Reyes without removing or killing its precious wildlife. This desperate, lame-duck Congress is at it again. The House of Representatives just voted to pass a bill stripping federal protections from nearly all wolves in the lower 48. The bill would also block courts' review of the legislation. 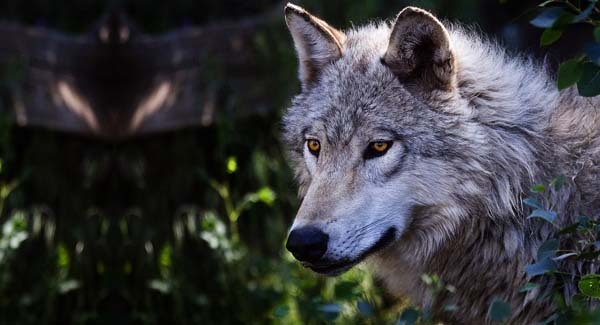 "This final, pathetic stab at wolves exemplifies House Republicans' longstanding cruelty and contempt for our nation's wildlife," said the Center's Brett Hartl. "The American people overwhelmingly support the Endangered Species Act and the magnificent animals and plants it protects. We don't expect to see these disgraceful anti-wildlife votes next year under Democratic control of the House." Get more from ABC News. Laiken Jordahl, the Center's borderlands campaigner, recently visited the Lower Rio Grande Valley National Wildlife Refuge in South Texas. Environmental laws that normally protect this land have been waived to rush construction of Trump's border wall. Watch this video from Laiken's visit to learn what the wall will do to the refuge — some of the region's last habitat left. Available on Facebook and YouTube. 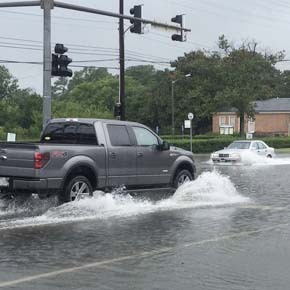 Climate change has come to Virginia. The state suffers from the East Coast's fastest rate of relative sea-level rise. And the flooding it's experiencing is more than an inconvenience — it's a national security risk and economic threat. Head to The Revelator to find out what's at stake, what Virginia's doing to protect its people and economy, and how it may be taking the lead on sea-level rise solutions. And sign up to receive the Revelator's weekly e-newsletter. In the midst of the deadliest fire season ever in California, the San Diego County Board of Supervisors is approving or considering the approval of nine housing developments that would add 40,000 new residents in chaparral and grasslands naturally prone to fire, a Center analysis found. The proposed and recently approved developments, including Newland Sierra and the Otay Ranch Villages, will put 15,000 homes where fires have historically burned. Even state agencies like Cal Fire have deemed these areas a high fire threat to people. "Building thousands of homes in naturally fire-dependent ecosystems is not the way to address San Diego County's housing problems," said the Center's Tiffany Yap. "It's unacceptable for county supervisors to let developers knowingly put people in harm's way." California's Dungeness crab fishery has been tangling up record-breaking numbers of endangered whales, prompting a Center lawsuit to protect them from injury and death. The annual crab season just opened, and it could be even more dangerous than usual. A toxic algae bloom has been contaminating crabs off the coast with a neurotoxin harmful to humans. So state wildlife officials postponed the opening of crab-fishing season in far Northern California, which could mean even more crabbing gear concentrated in Monterey Bay, where whales are now feeding. These algae blooms will get worse as climate change warms and acidifies the ocean. That's why the crabbers' association sued Big Oil for their economic losses as the season opened. But we're anxiously watching for an increase in entanglements now as we await our day in court. Between Thanksgiving and New Year's, Americans throw out 25 percent more trash than during the rest of the year. A lot of this trash is wasted food. 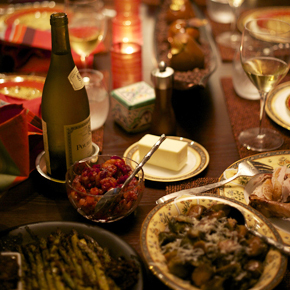 But poorly planned family dinners don't get all the blame for Thanksgiving's piles of uneaten food waste. Nearly as much food waste happens at stores before ingredients even reach your shopping cart. Learn what we can do to reduce holiday food waste in this article by the Center's Population and Sustainability Director Stephanie Feldstein. Check out the faces on these incredibly cute Gunnison's prairie dogs as they're released back into the wild in northern Arizona. This video is available on Facebook and YouTube. Photo credits: Florida panther by Mac Jewell/Flickr; painted turtle by ognelson/Flickr; tule elk at Point Reyes National Seashore by phoca2004/Flickr; wolf by jeremyweber/Flickr; Laiken Jordahl courtesy Center for Biological Diversity; flooding in Norfolk, Va. by D. Loftis; Harris Fire (San Diego County, 2007) by slworking/Flickr; entangled whale by Scott Benson/NOAA; Thanksgiving dinner by schill/Flickr; Gunnison's prairie dogs courtesy AGFD.